The holiday season is here- time for decorating Christmas Trees, wrapping presents, and buying gifts at Holiday Markets, Bazaars and Fleas. 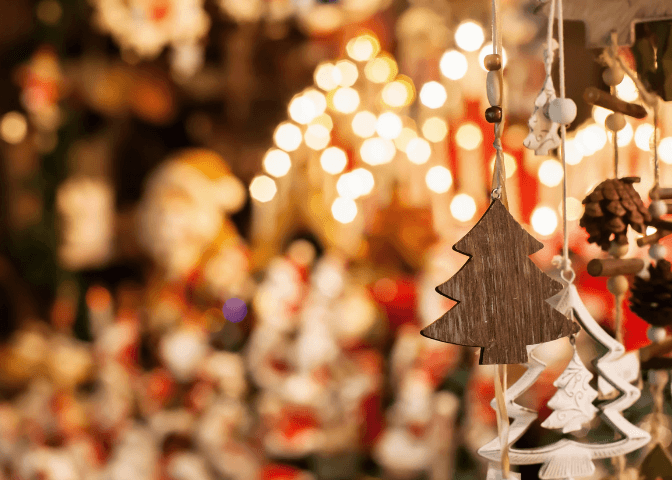 Whether you’re looking for Christmas themed items or local artisinal handiworks, we promise you’ll find plenty of goodies at these Holiday Bazaars. They’ve already started so what are you waiting for! Gab some canvas bags and shop, eat and be merry! 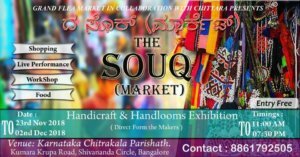 WHAT: Grand Flea Market in collaboration with Chittara. 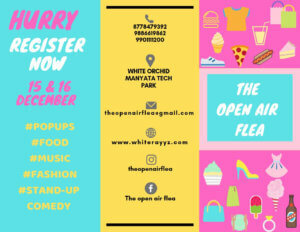 Shopping, Live Performances, Workshop, and Food! 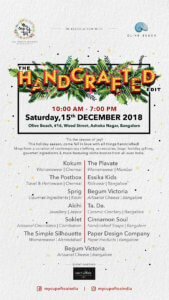 WHAT: Nine Bags Full in association with Community Services of Bangalore host a Yuletide Soirée at 1Q1 including a pop-up, designer labels, jewelry, sushi masterclass, crafting and more! 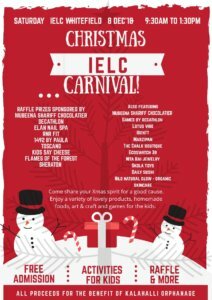 WHAT: Shop, eat, and be merry, at Palm Meadows Holiday Pop-Up Market, curated with over 30 top niche vendors, for a unique shopping experience. 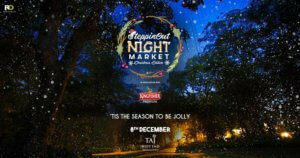 Home decor, holiday decorations, silver/gold/gemstone jewelry, children’s apparel and accessories, paper goods, art, leather handbags, photography, women’s and men’s apparel, gourmet chocolate, plants, sustainable goods, pet supplies, lighting, linens, textiles, cushions, candles, organic food and produce, bakery, hot food, French food truck, and a lot more! The best from each category awaits you for your gift-giving and decor needs. WHO: Big brands such as The Organic World, Ishi, Flat Tummies, Murtle, Anveshana, Chicas, Leroy Artisan, Beautiful Mess, Bombaat, Peculiere, Swadha Home, Hugsac, Pigment Edit, Peach Label, and more! WHAT: The United Charities Bazaar, popularly referred to as ‘Charity Bazaar’, ‘Christmas Bazaar’ or the ‘Bowring Sale’ (since its humble beginnings at the Bowring Club), is the largest and most colourful festive bazaar of the year where over a hundred charities and NGOs come together and put up stalls to raise funds for their respective causes. 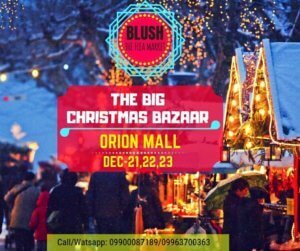 The bazaar opens to a flurry of sights, sounds, and tastes in order to help the underprivileged through a sale that includes everything from handicrafts and Christmas decor, table linen and t-shirts, homemade jams and jellies, pickles and pies, cakes and cookies and much more. 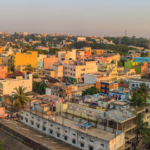 WHO: The event is promoted by proVISION INDIA, a Bangalore based NGO focused on rural development, training and setting up self-sustainability projects for unemployed youth and women across the country. The bazaar has been growing in size, adding over 20 charitable organizations to its list each year. 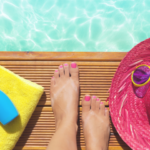 WHO: La Fabrique de Tarts, Games by Decathlon, Lotus Vibe, Identt, Marzipan, Chalk Boutique, Ecoswatch 3R, Nita Rai Jewelry, Skola Toys, Daily Sushi, Nilo Natural Glow plus parents stalls and more! 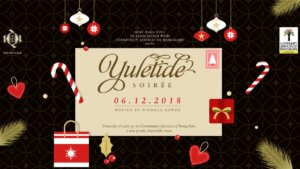 WHAT: Sunday Soul Sante is back to bring you some holiday cheer! Join us for a day of Fun, Food, Flea, and Music! Bring along all your family, friends, furry companions and yourself and join the holiday cheer! 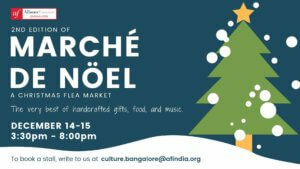 WHAT: Alliance Française de Bangalore hosts theirs 2nd annual yearly Christmas Flea Market. 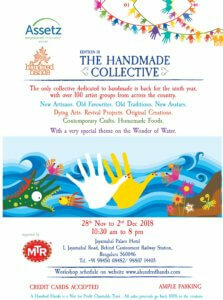 Drop by to experience the very best of handcrafted gifts, food, and music. WHO: Greeta Essentials, Pomogrenade, Earth Loaf, and more! 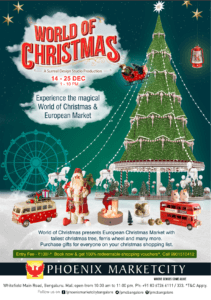 WHAT: World of Christmas Presents a European Christmas Market with the tallest Christmas Tree in Bangalore, a ferris wheel, and much more! 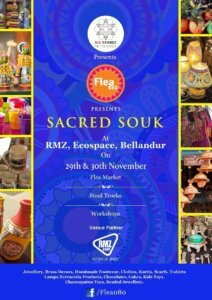 WHAT: Little Black Book teams up with Nilgiris for a lovely Christmas Bazaar! 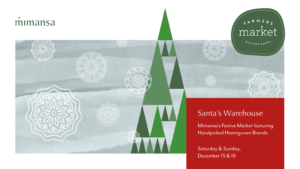 Santa will be there to take pictures with the kids as well as Tree Decorating and Cake Making Workshops. WHO: From homemade preserves, cookies and brownies to healthy wholewheat bread from MAIA, artisan coffee by Classic Coffee and couture chocolate from Smoor, there’s loads to buy as stocking (and tummy) fillers. You’ll even get to buy clothing (plus sized too thanks to Plumpf!) delicate jewelry and bath products so lovely, you’ll want to eat them! Not missing out on the little elves, there will be cutesy outfits and accessories for them too. 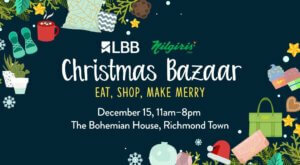 Plus, you have to stop at the LBB store for some quirky products as well as the Nilgiris store for all your warm and fuzzy Christmas goodies. 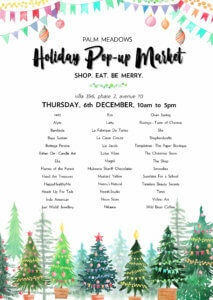 WHAT: From home decor, handmade candles, cashmere scarves made by nomads to delicious eats. 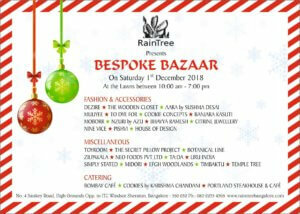 WHAT: Hosted by My Cup of Tea in association with Olive Beach, Bangalore, presents The Handcrafted Edit. This curated lifestyle pop-up showcases the best of handcrafted fashion & lifestyle brands and labels from across the country, creating awareness on sustainable fashion and connecting handcrafted entrepreneurs to customers, this edition of The Handcrafted Edit, features 12-handcrafted brands from all over India across different categories like womenswear, menswear, kids-wear, jewellery, leather bags, personal care and home care and gourmet food ingredients, that you won’t ﬁnd anywhere else. WHO: The best locally sourced apparel, sustainable products, jewelry, bags, and body care products. 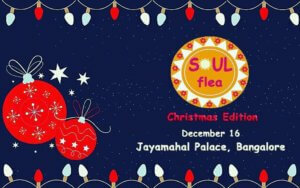 WHAT: This year, kick off of the celebrations with Soul Flea – Christmas edition hosted by Sampoorn and Buzzonify. 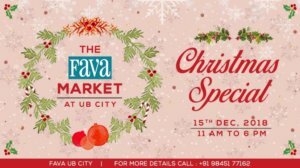 WHO: With over 150 stalls exhibiting the finest of their products ranging from home décor to jewelry to handicrafts, with food stalls serving everything from chats to Italian to continental, spend a Sunday full of fun and frolic. 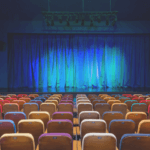 WHAT: This reoccurring event is a one-day mega event showcases artists from all over the country. Thank you for saying that Susan! Glad it can be of use!